What links Russia and the UK Independence Party? There's no way to answer that question without upsetting at least one person, or at least there wasn't until this bizarre incident kicked off. Twitter is littered with pro-Russian Twitter bots, and usually their output is pretty unsurprising, but a few days ago a cluster of them trained their sites on UKIP, and their leader Paul Nuttall. All of the content they posted was suddenly either pro-Labour, pro-Corbyn or anti-UKIP, leading some to theorise that the Russians are trying to influence the result of the Stoke-on-Trent by-election. 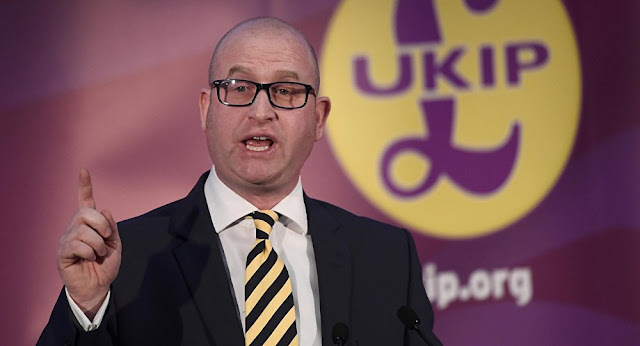 Now, that might sound ridiculous, but remember that despite being a safe seat, Stoke-on-Trent voted 65% leave, and is thus considered a marginal, and a key pressure point for UKIP. Oh wait, hang on, it still sounds ridiculous. Russia had previously been accused of influencing the outcome of Brexit, but the claim was that they sought to destabilise the EU, so it would make more sense for them to actually side with UKIP. They were also accused of influencing the US election in favour of Trump, which once again would suggests that their interests are more in line with UKIP's ideologies, and certainly very far removed from Labour's. Bearing that in mind, the nature of this strange Twitter bot attack becomes even more confusing. The accounts were using images that had been lifted from real Twitter users, on topics ranging from the extent of UKIP's national support to a controversy surrounding comments Paul Nuttall made about the Hillsborough disaster. When Alex King, who initially discovered this particular strain of Twitter bots, first found them, he reported that they were the sum parts of a coordinated campaign, which means that someone is consciously deciding what they post. That also suggests that said person has either taken a particular dislike to a party and by-election which is utterly irrelevant to Russian affairs, or they've been hacked. Either way, it's very weird. Labour hasn't commented on the issue, but a UKIP spokesman did make a short statement, in which he said that it was highly unlikely that Putin gives a "rat's a**se about Stoke". He also said that Putin should "bot out" of the whole affair. I really hope he came up with that on the spot.